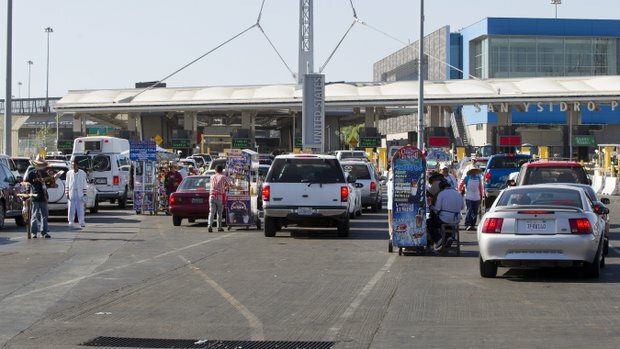 SAN YSIDRO — Could long lines at the San Ysidro Port of Entry be largely in the past? Many drivers accustomed to waiting in line for hours instead sailed through the busy border crossing within minutes on Wednesday. What made it possible was the reopening of seven inspection lanes — and the completion of a key phase in the $741 million reconstruction of the massive port, the busiest on the U.S.-Mexico border. The expanded capacity in the primary inspection lanes means that U.S. Customs and Border Protection, the agency charged with operating the port of entry, now has at its disposal 25 rebuilt inspection lanes with total of 46 booths. And that’s just the beginning: By January 2018, the port is expected to grow to 34 lanes with 63 booths. “This is incredible. I can’t believe it. There’s something like 15 cars ahead of me,” said Marco Montano, as he waited early Wednesday afternoon to cross in the general lanes, which are usually the longest. He and a friend were heading from Tijuana to San Diego to purchase a bus part and had been prepared for the usual wait of two to three hours — not 10 minutes. And so the cars flowed into San Diego from Tijuana: A grandmother returning from a family visit, an unemployed man from Spring Valley coming back from a doctor’s appointment, a construction worker from Lake Elsinore going home after visiting family in Rosarito Beach. “It’s been years since I’ve seen such short lines,” said Roberto Arias, 59, preparing to drive to the Inland Empire. Congestion at San Ysidro has grown steadily as U.S. border security measures increased following the Sept. 11, 2001, terrorist attacks. The rebuilding of the San Ysidro Port of Entry, overseen by the U.S. General Services Administration, is a project that has been years in the making. Though Congress approved the modernization of the port of entry, it takes separate congressional votes to fund each of the three phases, two of which have been approved. 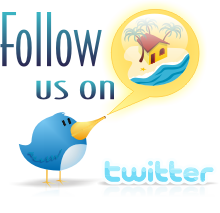 Funds for the final $216 million phase included in President Barack Obama’s proposed budget for fiscal 2015. On Wednesday, the reopening of the inspection lanes was cause enough for celebration. For the past two years as workers have been upgrading the lanes, seven to eight at a time have been closed, and having all available made a dramatic difference. The ripple effects of shorter lines at the San Ysidro Port of Entry are likely to reach deep into the economic, social and cultural life of both of Baja California and San Diego. A 2007 study by San Diego Association of Governments found inadequate infrastructure at ports of entry on the California-Mexico border cost the U.S. and Mexican economies $7.2 billion and 62,000 jobs. “A number of us have worked on this for a long time, and this was our hope, that the lines that have been absolutely astronomical would come down,” Vargas said. Sidney Aki, CBP’s port director at San Ysidro, said Wednesday afternoon that wait times in the general lanes hovered around 10 minutes. Earlier in the day, as rush hour drew to a close at about 9:15 a.m., CBP reported waits of about 30 minutes in the general lanes, 20 minutes in the Ready lanes and five minutes in the pre-cleared Sentri lanes. “I believe we have turned a corner significantly,” Aki said. “We are on the right track of making a difference.” Improved infrastructure, technology and “the expertise of our officers” are key to making the change, he said. 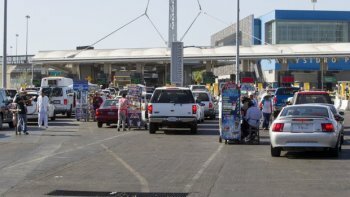 As lanes of waiting traffic diminished, so did the pedestrian lines at San Ysidro, where waits can regularly stretch for hours, causing people to lose their temper and even faint. Although there is no new infrastructure on the pedestrian line, “we’re identifying efficiencies,” Aki said, which are leading to faster processing. Aki said the port on any given day processes an average of 47,000 passenger vehicles, more than 30,000 pedestrians and 300 buses. South of the border, a reduction in wait times would also bring more U.S. visitors to Baja California, for tourism and cultural exchanges, business and educational opportunities, even family visits.